In my Shamanic Practice, I walk in gratitude. I am grateful for my Guides and have built deep, loving and respectful relationships with them. Aware that all Beings and all Things contain Spirit essence, I too am grateful for three very special allies in my work: My Drum, My Rattle and My Feather. In my hands, my drum is a gateway to all that is. My drum speaks with a thousand voices and its words penetrate through my heart and soul and through vibration and resonance, produce aural images that speak to me in paintings and in words. Because I travel far and wide in the physical World, I use a Remo Bahia Buffalo Drum not only for its deep, resonate qualities (I feel this to my roots!) but also its stability in differing weather conditions. When I first connected to the spirit of my rattle, it told me that it felt incomplete. 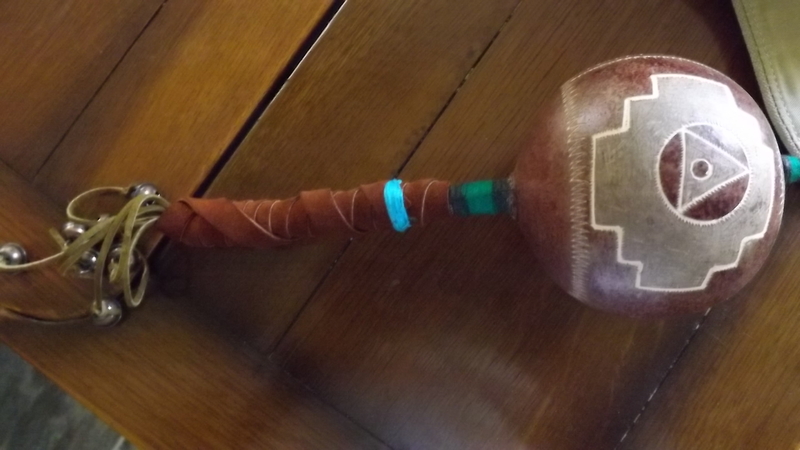 I asked what it wanted and it told me in a Journey… I saw the slender handle wrapped in brown suede and small bells hanging from leather strands. Now, it is happy and it speaks with a clear voice that opens the Upper World. This rattle serves many purposes in my practice. From The Calling in of Spirits to an accompanying voice and leader for Upper World trances to its healing properties with clients, the engravings speak to me of Higher Vision and the triangle and circle mirror my Calm Mind Method. The Spirit of this rattle is quite bold indeed. 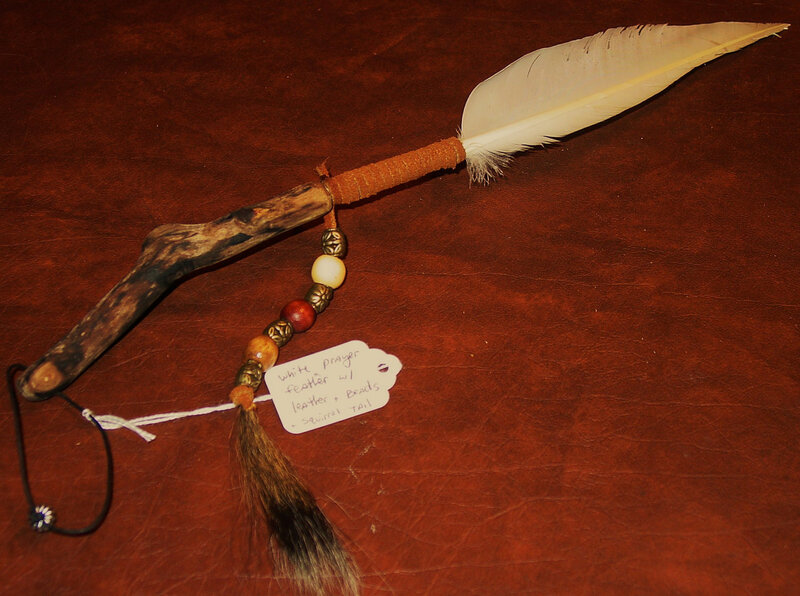 My Feather is another powerful ally and is used mostly in healing work (energy extraction).